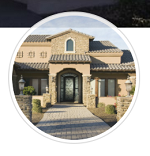 Unless you intend to pay cash for your Tucson home, you most likely need to obtain a mortgage loan. As I discussed last week, saving up for a down payment is easier than you think. But, when it comes to mortgage loans, which one works best? That depends on your particular situation. For many first-time home buyers, an FHA loan jumps to the top of the list. Why? Read on to find out. An FHA loan is one of three mortgages backed by the government. VA and USDA mortgages are the other two. With the FHA's backing, lenders tend to loosen their guidelines slightly in comparison to other non-government backed loans. Now, the FHA does not approve loans. They simply back the loan in case you default. For this, they charge an upfront insurance policy that is rolled into the loan. It runs about 1.75% of the loan amount as of the writing of this post. That could change in the future. They also charge a monthly premium of 0.8% of the current loan balance. However, this proves popular with first-time home buyers because they require just 3.5% down and take on customers with lower credit scores. Although, if you can afford to put more down, it's highly recommended that you do so. FHA loans also allow the use of gifts as part of your down payment. This includes sellers paying as much as 6% of the closing costs on your Tucson home. No prepayment penalty exists. Also, an FHA loan can be assumable. As interest rates go up, this could be a great selling point in the future. That's because the interest rate stays the same as when you purchased the home. And, you can buy a home through an FHA loan even if you had a bankruptcy as recently as two to three years ago. Minimum standards vary from lender to lender. They tend to be higher than FHA's minimum requirements. No minimum income is set. However, you do need to show enough of an income to repay the loan, of course. Lenders like to see a debt-to-income ratio of around 31% of your house payment and 41% for total debt (including credit cards, personal loans, car payments, etc.). Some lenders allow up to 50%. Most lenders accept no less than a 580 credit score. Some want to see a score of 620 or higher. Anything between 500 and 580 will require a much higher down payment. Even so, that doesn't guarantee that you'll qualify for an FHA loan. 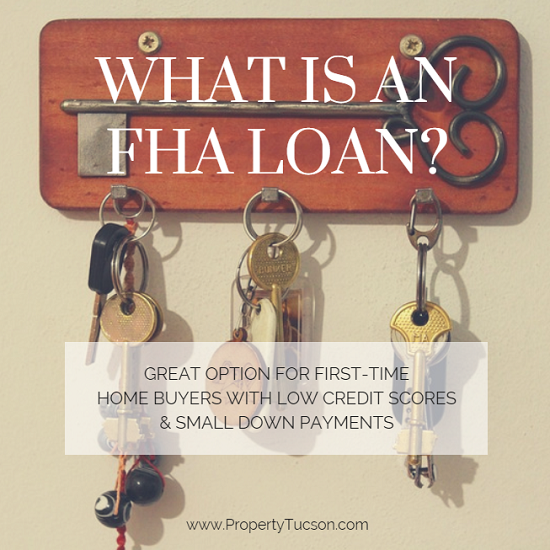 Is an FHA loan right for your Tucson home purchase? Set up an appointment with your lender to find out. It's definitely an option worth exploring, especially if you have less than stellar credit and a low down payment. Then, when you're ready to start looking for your next home, contact me.